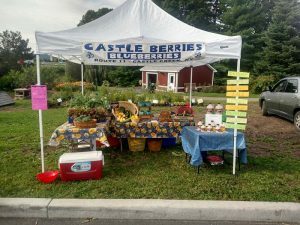 This week’s featured vendor is Castle Berries, located in Binghamton, NY. Castle Berries has been is business for 30 years and selling at Farmers Markets for 25! Don’t let their name fool you…in addition to berries, they also sell sweet corn, beans, squash, peppers, lettuce, cabbage, and more! 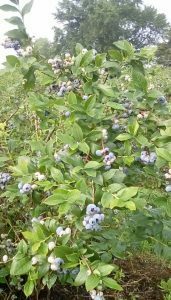 In addition, they have a U-Pick business, and families can pick their own blueberries right at their farm. You can find Castle Berries on Saturdays at the Broome County Regional Farmers Market or visit them at their farm for U-Pick Berries at 1006 Castle Creek Rd, Binghamton, NY, 13901. You can also find them on Facebook at Castle Berries.